Enter your academic profile in the answers below and get your profile evaluated! Attend this free workshop to learn more about the best strategy to score 99+ percentile in CAT 2018 and NMAT! For more details about the workshop and registration process, click here. Do you want a chance to be mentored by the students of top business schools in India? Do you want a chance to visit the campuses of top management institutes for an entire day? Then register for the competition here and become a part of the Best-100 Aspirants in the country! College targeting- iim c,l all new Iims, spjain ,MDI,nitie,iits,Xlri. B-Schools You Are Targeting –IIM A,B,C,L,K,FMS,NITIE,SJMSOM IITB,VGSOM IITKGP,DOMS IITD, TISS,new IIM’s. At the very outset, you have a great profile. Given your gender diversity, if you back this with a decent percentile (98+%ile) you can bag almost every call that you have listed above. You being a fresher might hamper your chances of getting shortlisted by IIM B. For every other shortlist, your profile is a fit and therefore your score in CAT will be the deciding factor. I hope your preparations for the various exams are going well. I hope this bit of news motivates you even more: TISS does not make selection decisions based on marks! Although yes, consistently high scores do give you an edge, the real deal at TISS is to convince your interview panel of the story of your life. If you crack the TISSNET cutoff for HRM & LR, you will get a call for both GD and PI, held on the same day. You just need to be at your most confident on that day. Irrespective of your marks, make sure you properly communicate the message of your purpose in applying to TISS, your past experiences and your future plans. I look forward to seeing you ace it! Good luck! Despite your modest acads, your profile is well diversified. Your work experience and post graduate degree will add extra element of diversity. With that in place, you would need to score around 98.7+%ile in CAT to get calls from C,L,K,I,S. For NITIE, SJSOM &SPJain (Ops), you are a perfect fit a slightly lesser score would also get your calls from them. I m also skeptical about which bschool should I target to get better returns and where my profile doesn’t hinder much in final selection as well as in final placements. It will be great help if u clear my doubts,as well as help really needed. Hi Sriram, Your 10th and 12th scores are good. Along with a good cat score, you definitely have a great chance at making it to the old and new IIMs, IMT. The difference will come in the relative weightage given to 10th+12th score and CAT score by various institutions. Congratulations on an excellent profile! 10th, 12th, work experience – everything works in your favour. A score of 99.3-99.5+ will almost guarantee calls from the top management institutes, including BLACKIS, FMS, MDI and SPJIMR. New IIMs will also definitely shortlist you at 98+, if you clear sectional cut-offs. I am a final year student of Mechanical Engineering from NIT Warangal. IllI be writing CAT for the first time. Please suggest your inputs regarding my profile. I am also MBA aspirant. But your academic profile is super hot!! Every institute wants to give you the admission without any doubt. As your past academic profile is awesome, your basics and general knowledge might be as required for the CAT. By scoring above than 98.5% , you can get admission in old IIMs as they give more prefer to past academic profile and less on CAT as IIMB, IIMC, IIMI. A very very strong profile! BLACKI chances with 98.5-99%ile score. Newer IIMs will call you at 97+. Scoring around 99 would get you a lot of calls. And I can assure you that you’ll convert easily if you prepare well for your GD and PI. Could you please suggest me a good score to get a call from NITIE. New IIMs may be difficult, but baby IIMs may be possible depending on your CAT performance. All of the other non-CAT exams require 98+ percentile to get a shortlist. IITs – SJMSOM, VGSoM etc. also require a high CAT score. Last year, SJMSOM had 80% weightage for CAT score, so your chances for IITs are not dead just yet. All the best, and we hope you get into your target b-schools! Congratulations on a splendid academic profile. The only thing that goes against you at this point is your lack of work experience, but that can be compensated for with a high CAT score. IIMs L,K,I, S should be possible at 98+. Calcutta has always needed an exception 99+ CAT score for shortlists, regardless of academic profile. Ahmedabad is a highly viable option, but again depends on your CAT score. With you graduation score, you may be eligible for selection in Stage 1 of IIM A itself. Bangalore will need a high CAT score as well, since you do not have work experience. All your targets are well within reach. All the best for CAT 2018! Please suggest other colleges I can target. As per current preparations, i am hopeful for 97% percentile in CAT. And working on making it better. Glad to see your optimism for CAT 2018. We hope you score even higher than 97. Target B-schools will depend largely on your CAT 2018 score. Based on your expected percentile, colleges such as IMT Ghaziabad, NITIE Mumbai, etc. However, if you push your score upwards of 99+, then colleges such as MDI and FMS may also shortlist you for their interview rounds. Non engineer. Business economics graduate. Do I have any chance for iim c,k ? A very good profile I must say. Your targets are perfect as per your profile. Being a non-engineer and the added advantage of separate category reservation will definitely enhance your chances of being a part of the holy trinity. Even you might get a call from ABC at 90+ %ile but try to score around 95 for being on a safer side and it will also help you in your final selection. I am also MBA aspirant, commerce background and CA. You will get both benefits i.e academic as well as gender diversity. Basis on your profile, if you will be able to score more than 95% , you have great chance of get selection in IIMK as the number of seats have been increased specifically for girls ( low- medium risk). Apart from that, if you able to score more(95-98.5), then you will can get call from other old B-schools except IIMA (medium risk type). IIMA give full points to 80% + in graduation which you miss by just 0.93% and you will get 8 marks out of 10 at there. So, it might be possible that you require above 99%+ to get a call from IIMA (medium – high risk type). I have specified all the risk, you can make your investment basis on that. Hope it will help you!!! Please share the preparation strategy with me , if possible. B-Schools You Are Targeting – IIM L,I,K, XLRI, SPJAIN, MDI, FMS and IIM A,B,C (if possible). Hi, Please share the required details basis on your assessment of my profile. Thanks. Various Certifications, SIX Sigma from iACT, Two Internships (TATA Motors and DLW), Volunteered in an NGO during graduation, Diploma in banking and finance from IIBF. Will 2 year MBA be worth?? Targeted Colleges:- Any IIM(PGP), IIM-A&L (Food and Agricultural Business Management), MDI, NITIE, SPJIMR, XLRI, MICA, TISS. Please do include some information on my chances of getting into the FABM course. As your academics are low except your graduation which is quite good but having the added advantage of gender diversity, I ‘ll advise you target at least 98 %ile to get good calls from old IIMs like K, S and even maybe from L as well as new IIMs and NITIE. XLRI does not consider your past academic records as a short-listing/elimination criteria for admissions. However, be prepared to answer questions about your poor academic performance in the interview if you do receive a shortlist. Last year for the flagship BM programme, the cut off is around 96 percentile in XAT 2018 while for HRM, GM programmes it is 92. For IIFT, try to score as much as possible. For SIBM and SCMHRD target atleast 97+ %ile. You can also target FMS, MDI, IMT. Thanks for answering Jeetesh ! You will get the call from MDI, new IIMs if your percentile is at least 97 which good chances of conversion if interview go well. Hello Stephen. Great profile! I would say you’re at a perfect point to join an MBA. My profile is almost same. 9/9/7 with 2.5 years work experience. I would genuinely ask you to target 99.5+. Slim chance from A&B but you should get a call from rest. 99 should get you I and L and K and FMS. Please focus in preparation. The better you score, the better your chances become. All the best! Also, might want to consider XLRI and ISB. B-Schools You Are Targeting – IIM C,L,K, XLRI, FMS,IIFT,JBIMS,SIBM,NMIMS. For the old IIMs chances are very slim even C and K but for K you ‘ll get the interview call if score more than 99+. With 99+ you will get a call from FMS too. For IIFT you have clear the cutoff which is different every year. and for SIBM score more than 98+ and for NMIMS score around 215 to be on a safer side. For JBIMS, if you are a non-Maharashtrian, then it is very difficult to get the call unless you score very high like in CAT or CET. There’s a tough chance to get calls from A, B and I because of your acads. Maybe an A call if you score 100%ile. For, rest of the colleges you need to target 99.5+ to be on the safe side because of your acads. Work ex will get you some extra points which is a great thing. If it’s in non IT then even better. Target 98+ in XAT for a call. Conversion will depend on your GD and PI. For IIFT, 99+ to make for your acads. You have a good profile. Make sure you have a lot of extra curriculars. You will get the call from MDI, new IIMs and IMT Ghaziabad if your percentile is at around 97 with good chances of conversion if the interview goes well. Thank you sir for your reply. i forgot to mention that i had a startup while i was in college. I got selected in top 25 teams in india in the campus shark by digital ocean. Will it help me in the selection into above mentioned colleges? SPJIMR very slim chance. They look for strong academic profiles. XAT you should get a call at 96-97 but scoring 98+ would increase your chances. You’ll be able to convert if you’re GD and PI go really well. IIFT, focus on scoring 99+ and make sure you clear all sectional cutoffs. For IITs, you should get a call with 96.5+. You’ll need to score well to make up for the weights you’ll lose in academics. Work ex will help you to some extent. Be prepared to talk about it. If it’s not IT then even better. All the best. Can you please evaluate my profile too? In my opinion, touching 99 would get you a lot of calls . Almost all colleges in fact. And I can assure you that you’ll convert easily if you prepare well for your GD and PI. You have a great profile man. Diversity points for being a not engineer. You have work ex too. I think you should easily get all calls at 98.5-99 percentile considering your acads because one of classmates didn’t have A,B calls with 98.64. he’s also a b.com grad from DU with strong acads. So I would say touching 99 is going to give you the best chances. Work ex will help you go ahead as I am thinking it must be non IT. Please be prepared to answer as many questions as possible on it. I really hope you do well and convert. All the best! Thank you so much for your reply. I have been taking CAT from last 2years, I scored 95%ile in CAT16 and 93%ile in CAT17. I’m targeting 99+ this time to get calls from the best. I lack in VA section as my earlier percentiles have been QA-99, LRDI-98 and VA-70 which got me around 95 aggregate in both my earlier attempts. So that section is the only issue for me right know. Suggest me anything to overcome that. Hello my friend! I see you are in a very dangerous boat. Acads are not that great. And your work experience is going to work against you. Companies really don’t prefer people with too much work ex. So I would say considering your acads, you have a slim chance at old IIMs. And your work ex is too high for you to gain points there. New IIMs will give you a call at around 98 percentile hopefully. But I would say that joining there would be a waste of your time. However, since you have CFA level one and I’m hoping your work experience is in a related sector, I would suggest targeting XLRI. 98+ is a good score for call with good chances of BM conversion. If your GD and PI go really well, you are in. However, considering your profile, I would seriously ask you to consider ISB and other one year executive MBA program, including the ones at IIM ABC. You’ll have a strong case there with your work ex. It’ll be a good value add and you’ll be able to focus towards finance with your CFA certification. I say this because I’ve faced issues with nearly 3 years of work experience. XLRI was my saving grace but it’s tough here as a lot of companies prefer people with low or 0 work experience. Your academic profile might not be in the best of its shape, however, your work experience makes up to it. Would need some more information on your undergrad specialization and domain/company of work experience to help you figure out prospective calls. For now, a score of 99.3+%ile should help you crack almost all of the above colleges. Plz tell any other i should target as well !!! You have very modest targets given your profile. You can definitely aim better. Your academic journey has been strong till your undergrad, however, the undergrad score that you have do not completely rampage your chances of getting good IIM calls. For new and baby IIMs you surely need to score atleast a ~97.5%ile. Colleges- IIM C,K,L,S,I, MDI, SPJAIN, XLRI, XIMB, SIBM. It can’t be denied that your academic performance did take a hit during your undergrad, but wait, because you have a balanced academic profile in terms of your HSC and SSC performance and your academic diversity you stand a decent chance to bag a good number of calls. If you score a 98.7+%ile you can rest assured of calls from all of the aforementioned colleges except the holy trinity for which you would need to push the envelope a little further say ~99.3+%ile. At a score of 94%ile you can still expect calls from New IIMs and MDI. 98.5+ should get you a call from most colleges. I’m a little unsure about B though. 98+ in XAT should give you a good shot. However, 99 would help your cause because of no work experience. 98+ for NITIE, 97+ for IITs. You have a good profile. If you score well, you’ll get through this year. Focus well on GD and PI prep. All the best! Target- IIM A,B,C,L,K,I and FMS. Sure shot calls with 98+ in CAT. High chances of conversion given your academic profile! Work ex will add value too. BSc even more. Be prepared to answer any kind of question because they’ll have high expectations. Hope you convert! All the best. Hello chayan. Please remove your comments from the other people’s thread. Now, you have a strong academic profile! That’s great. You have a good shot at SPJIMR because of that. If you have strong extracurriculars, then even better. Definite BLACKI and fms calls with 99-99.5 percentile. 99.5+ would strengthen your chances with ABCL. 98+ would be good enough for NITIE and MDI. However, choose NITIE if you really want to get into operations. For XL, 98+ in XAT would increase your probability of conversion. Prepare well for GD and PI. I love your honesty. Your need to score at least 99 to convert XL with your acads. You’ll get a call at 96-97 but you’ll honestly need to do really well in your GD and PI. IIFT would be the same. 99.5+ to make up for the acads. Would like to suggest ISB. Definite call with 750+ in GMAT. If you write good essays, good chances of conversion too. Plese reply to my msg. Going by the academic profile, you need to understand that it is not in the best of the shape. However, given that you have a diverse academic background and substantial work experience, you can still manage to get a few good calls. For that, you need to make sure that you score makes up for it. Thank for reply. Is there any for XLRI, MDI, IIFT and SP Jain. We would have to agree that your acads aren’t in the best of shape. However, it doesn’t close all doors for you. Assuming that you score a decent CAT percentile (~98+%ile), you do stand a chance of getting a good number of shortlists. IIM C, S should shortlist you. You also stand a good chance of getting an MDI/FMS/IMT shortlist. All of these for you academic diversity and your profile. New IIMs would love to have you. Thanks a lot Pratik ..I m planning to appear for CFA level 1 exam after cat maybe in June 2019 …will this add some value for shortlisting in IIM C ? That would be very beneficial for converting your call and for your campus placements too. Oh ok in that case also do I need to score 98+ or little bit less can work for iim c ? And one question more that do MDI and fms consider past acads and work ex ? A work experience of 37 months in New York bank will help you a long way not just in getting shortlists but also during conversion. We definitely agree that your ubdergrad performance is a little tepid, however, given your work exp you can easily expect IIM K, I, S; New and Baby IIMs, MDI, IMT, among others at a percentile of 98.5+%ile. Hi Amitayu, your graduation score might pose an obstacle when it comes to the top few B-Schools. You could focus on exams for colleges like XLRI and IIFT, because scoring well in those will at least get you in the room with the interviewers. FMS has traditionally placed very strong focus on acads too. However, being an Eco grad could work in your favour since most B-schools are trying to diversify their student profiles. At this stage, focusing on mocks seems to be the best strategy! Your academics are really good. Moreover your work experience is also pertinent for most of the B-schools. You need to score at least 98 percentile in all of the relevant exams to get assured of fetching calls from the institutes which you are targeting. Keep track of mocks and put in some efforts from now on to be well aware of current affairs because GK section of XLRI and IIFT is not an easy nut to crack for most of the aspirants. Hey Bhargav, your academics and work experience are pretty pertinent to fetch a call from all the coveted B schools. You need to score 99+ to get call from ABCL and all other IIM calls would be there if you score around 98 percentile. Make a strong hold on the concepts while you are preparing for CAT and other entrance exams. Be well aware of current affairs as well to do great in GD and PI. With this profile and the percentile I mentioned above, you would get calls from top IITs as well. Prepare well and stay motivated. Hey apurva007, thanks a lot for such a detailed reply, I really appreciate it. If I talk about specific B schools which I preferably hope to convert like Spjain, FMS, iift(Delhi/Kolkata), xlri, mdi, or nitie, what are my chances. Because I feel I can easily rule out ABC owing to my past acads. Bhargav, you have sure shot chance of call from MDI if you score 97+. You need to tweak your strategy to attempt IIFT as compared to CAT to get around 98 to 99 in its entrance exam because sectional cut offs play crucial roles in getting call from IIFT. Try to score above 98.5 to get NITIE call. SPJain percentile would also fall near to these colleges only. FMS would require 99+ but you can’t be sure to get a call. Experience- 15 months as Sales Executive in OTIS Elevator. You have a very strong profile, I must say. Consistent academics will help you in a great way. Also, the relevant sales work ex adds to your profile. Any score above 98.5%ile should get you a hoard of calls starting from IIM L and beyond. For the holy trinity of A,B,C; a percentile of 99.35+ should suffice. Thank you so much Pratik for the detailed evaluation. I always had a keen interest in business consulting and given chance, I would definitely get into any consulting firm. But sadly, I couldn’t bag any job in consulting from my campus. Is there still a chance in switching the career to consulting ? As I heard, during final placements, companies only prefer candidates with relevant experience for consulting positions. Impressive. Despite your dip in 12th standard you stand a good shot and getting the aforementioned calls. IIM C, L will shortlist you if you score above 99.3%ile. For every other college mentioned above 98.7%ile should be a safe score. You definitely have a good chance of getting into the following institutions mentioned above, the CAT score will be the defining score to complement the academics and the relevant work profile. May you achieve your target B-school! Hoping for your reply soon..
Positives of your profile – Gender diversity, academic diversity. Negatives – Average academic profile, not-so-good graduation marks. Old IIMs are a little out of reach for you, and new IIMs may consider you with a high CAT score. All your other targets are dependent on your percentile, which will need to be in the 99.5-100 range. IITs also require a high CAT score, so that may be a target you can definitely pursue. B-Schools You Are Targeting – IIM A B C L K I, SP Jain, MDI, IIFT, NMIMS Mumbai. Positives of your profile – 10th, 12th, Academic diversity. Negatives – Graduation, lack of work experience. In order of priority, the IIMs you are likely to get shortlisted by are – IIM Indore, IIM Calcutta, IIM Lucknow, IIM Ahmedabad, new IIMs. Bangalore will be difficult because of graduation score and no work experience. Kozhikode is also difficult (based on last year’s criteria), but 75% of their weight is for the CAT score. So score well in CAT and Kozhikode opens up as a viable option for you, since they also have marks for academic diversity. NMIMS requires 210+ as a cut-off, but aim for 215+ to get a guaranteed shortlist. IIFT requires close to 45 marks (you also have to meet sectional cut offs). SPJIMR may be difficult. MDI Gurgaon will also need a high CAT score. Perhaps 99.5+ will guarantee a call from most of your targets, given your academic diversity and pre-graduation academic profile. Applauses. You have a decent profile. Your work experience and your academic profile will help you a long way in getting calls. Albeit, you have to make sure that you score above 99 percentile to get the calls that you are targetting. You can also expect a profile based call from SP Jain. Please share more details on your undergrad college and company. Can you please elaborate on your undergrad specialisation and college? I’m doing my btech in civil engineering from IIT Palakkad in Kerala. It is a third generation IIT started in 2015. The 10th & 12th scores may hinder final cumulative scores talking of old IIMs which give weightage to the same such IIM-I or IIM-C. However a very high CAT score can help you get more calls from old IIMs. Also IIM A,B,C, have greater participants with more work-ex on an average basis. You can expect calls from MDI, IIFT, IITD,M,K with a relatively high CAT score. When it comes to IIMs, calls from older IIMs are out of reach but new IIMs can shortlist you if you score 99.5+ in CAT 2018. Your 10th and graduation marks are decent, but your 12th marks can be an issue. Your work experience works hugely in your favour, but may not be enough for SPJIMR (paired with your academics). NITIE is a definite possibility but is hugely dependent on your CAT score. SJMSOM is also possible. The best thing you can do right now is focus on scoring well in CAT. Great modesty in choosing target colleges. You have a good profile. Can you also elaborate on your undergrad college and specialization? Getting to the point, scoring a 98.5%ile and above can get you all the above calls. Additionally, you can also get IIM L & K, SP Jain, MDI and the like. In that case, the aforementioned calls stay as predicted. The added advantage is that you have a separate category reservation. Given all of these, you have good chances of getting almost all calls that you have listed here. For IIM A, B, C, L, FMS & XLRI; you will need a percentile as high as 98+%ile. For all other calls a percentile as good as 96 and above should do. Plus points of your profile – 10th, 12th, Gender diversity, Academic diversity. Negatives of your profile – Graduation marks, lack of work experience. Why just FMS? You should be aiming for IIM Calcutta and Indore as well! You stand a good chance at these institutes, especially IIM Indore where you get 4 points for gender diversity. For all these institutes, you can get guaranteed calls at approximately 99.3+. All the best and stay updated with selection criteria, most of which will be released soon. Kudos, you have a good profile. Given the balanced profile you have, you can get almost every call. You would need to score at least a 99%ile to score to get calls from IIM A & B. However, you can easily manage to get calls for IIM C, L, K, I, S; XL, FMS (may be), MDI & other top colleges at above 98%ile. Congratulations, you have a very diverse as well as a balanced profile. I am intrigued by your modesty in targetting colleges. With a score of 97%ile and above you can easily bag all targetted colleges except FMS. Also if you score higher, other better IIMs can also shortlist you. Sir, but my gap won’t create any problem? B-school target.- I am bit confused regarding this. My first priority is Hr. Is there any chance to get new iims. Please enlighten me about this. Consistency in academics will be a strong highlight of your profile along with work experience. However the stream may be similar to other profile. For SP Jain they may require a more diverse profile. B school targeting old iims, new iims, xlri, iift, notice, spjain, iits, IMT Ghaziabad, IMI Delhi. You have a fairly balanced profile, I must say. Your profile has all factors in good proportions, be it your work experience or your academics. You need to definitely keep the balance up and score high. A percentile of ~98+ should help you get decent calls. The troublesome points about your profile are your 12th and graduation marks. What works in your favour is your work experience (which will become 12 months by the time you get your CAT results), and gender diversity. JBIMS requires an exceptionally high score in CAT/CET. Other colleges you are aiming for will be possible with an exceptional CAT score, 99.6-99.7+ score. Not sure if you are an Engineer, so cannot comment on academic diversity aspect. Hi Aaditya, As your work ex is more than 2 years and your gradaution percentage is quite low, there is no or very slim chances from L and I and even for K you have to score very high percentile like somewhere around 99.5. But for MDI you will get a call at around 97 percentile. For Sibm you should target 98+ percentile and for NMIMS you should target 215 to be on a safer side. XLRI does not consider your past academic records as a short-listing/elimination criteria for admissions. However, be prepared to answer questions about your poor academic performance in the interview if you do receive a shortlist. Last year for the flagship BM programme, the cut off is around 96 percentile in XAT 2018 while for HRM, GM programmes it is 92. The same goes for IIFT, try to score as much percentile as possible to compensate your grad. percentage and be prepared to justify it. I know A and B seem unrealistic with these acads. But one should never lose hope. With your graduation percentage as a GEM, as you have correctly identified, Ahmedabad and Bangalore are very difficult targets, considering the impeccable profiles they require for a shortlist call. However, 6-pointers have made it to these institutes with an excellent CAT score, so you should be looking at 99.8+ score to get AB calls. Calcutta will be relatively easier, however, that institute will also require a high CAT score in general. For Lucknow, you miss out on points for work experience, academic and gender diversity. For IIM Indore, you may be able to get a shortlist call with a high CAT percentile, 99.5+, since 80% of their weightage is for 10th and 12th marks. FMS is a good prospect for you since your 10th and 12th scores are quite good, as is MDI. For all non-CAT exams, 99+ is what you should aim for to get calls from premier institutes that accept those scores. B-Schools You Are Targeting – Baby IIM’s, New IIM’s, VGSOM, IIT Kanpur, IIT R, IIT M, SIBM P, SCMHRD, XLRI, NITIE, IIFT. P.S- Due to low grad and 12th scores, keeping realistic targets. But I have credible reasons for that to justify it in interview. Participated in lots of co curriculars activities in regional as well as state level. It’s good that you are quite realistic in your targets. Yes, the low percentage in grad and 12th will cause the problem but still set a high target in CAT and you will calls from IITs, new IIIMs and baby IIMs. Apart from these, NITIE and MDI are very much achievable. For SIBM and SCMHRD, try to score more than 98+. For XLRI does not consider your past academic records as a short-listing/elimination criteria for admissions. However, be prepared to answer questions about your poor academic performance in the interview if you do receive a shortlist. Last year for the flagship BM programme, the cut off is around 96 percentile in XAT 2018 while for HRM, GM programmes it is 92. And the same for IIFT, try to score as much as you can . You may be in a bit of a pickle when it comes to calls from older IIMs since your previous academic record is short of the requirements of these institutes. IIM L will give you points for academic and gender diversity, as well as work experience. But your composite score will severely drop with your Class 12th marks, which you will have to make up for with an excellent CAT score. Attempt to score 99.8+ to be somewhat certain of a call from IIM L.
For NMAT, you will need to score 210+, while for XLRI and Symbiosis colleges you will have to aim at 98+ to get calls. Your work experience can be a saviour for you, so just aim for a high CAT score at this stage. As you are probably already aware, your graduation marks can be your downfall when it comes to getting shortlist calls. However, IIM Calcutta and Indore are your best options with your current profile. Another option that could be open to you is IIM Lucknow, considering your academic and gender diversity as well as significant work experience. However, you will have to score very high in CAT 2018 (60 marks weightage) since there are 10 points by IIM L for graduation marks, which can pull down your composite score. There are 60 seats for female candidates at IIM Kozhikode this year, so that is another option which can work out in your favour. IIM Bangalore is almost certainly very difficult, but IIM Ahmedabad may be an option based on your CAT score. As an eco-honours graduate, you will come under AC-3 of their academic diversity criteria, which gives you 5 points. Unfortunately, A also does not give points for gender diversity, so you’re out of luck there. Focus on a score of 99.5+ to get a call from most premier b-schools. Team inside iim plz… rply all the comments of the last. 12th score and graduation score may be a challenge but non-engineering background may help! Your profile is quite good, barring your graduation score. Two of the old IIMs that you could be looking at are IIM-C and I, considering that almost 80% of IIM Indore’s and 40% of IIM Calcutta’s shortlist criteria depends upon 10th and 12th marks. However, as you may have seen, a lot of participants in this thread have a profile similar to yours. So it is that extra 20% in CAT that will help you get shortlist calls. What really works in your favour are the 4 extra marks for gender diversity at IIM Indore, and 2 points at IIM Calcutta. Another prospect you could look at is IIM Kozhikode, which this time, has announced 60 seats for female applicants. Your work experience is too low to be significant at this point, so no extra marks for that. That’s one heck of a profile. Congratulations. I must tell you that you stand a very good chance of getting all the aforementioned calls. A score of 98.7%ile and + should get you A, B, C. Scoring even a little below that will get you all other calls. I had a startup while i was in college for 2.5 years. I managed every thing from coding to marketing except content designing. It got selected in top twenty five teams in campus shark by digital ocean. With your current profile, IIM Calcutta seems to be a little out of reach, considering their emphasis on 10th and 12th marks. If you score well in CAT, there are slight chances that you may get a shortlist call. New IIMs may also consider you at a high percentile. SPJIMR seems difficult because they want an overall outstanding profile. You can include FMS in your targets as well. They have little weight for 10th and 12th marks (at least they did last year). A score in excess of 99.6+ should fetch you calls from at least a few of your targets. A little surprised that you have not included IIM Calcutta and Indore in your targets, with your 10th and 12th percentage. Unfortunately, management institutes consider work experience only after graduation. So your start-up experience won’t help you in getting shortlist calls, but might help you sail through your GD-PIs. if you make it there. A score of 99.5+ (since you’re an Engineer) should get you calls from at least 1 old IIM. Target- All ims, MDI SP JAIN , XLRI , FMS , NMIMS, IIFT. Congratulations on a splendid academic profile. You will have every chance to get the calls from most of the old IIMs including ABC, SPJain, MDI. if you score well in CAT. Try to score as much as you can with a minimum of 97 %ile but for ABC and FMS, the score has to be 99+ as you are a GEM. For SIBM, you have to score 98+ percentile in SNAP and for NMIMS try to score at least 215 for being on a safer side. For XLRI does not consider your past academic records as a short-listing/elimination criteria for admissions. But still good acads will give you an edge in final selection over others. Last year for the flagship BM programme, the cut off is around 96 percentile in XAT 2018 while for HRM, GM programmes it is 92. And the same for IIFT, try to score as much as you can . You can also target NITIE, a GEM for GEMs. The 10th, 12th and graduation scores may give a challenge in getting calls from IIM’s which have substantial academic weightage too. However, the work experience can be one of the differentiating factors in your profile. A very high CAT score can help you convert target B-schools. SP Jain would require an all round profile. A very balanced academic profile, I must say. Given your consistent acads and decent work exp, you stand a fair chance of getting a plethora of calls. All of these if you score a substantial percentile which would be above 98.7%ile for almost every IIM except the holy trinity. You might as well get a profile based shortlist from SP Jain. Profile +ves: You have got really great and consistent scores in 10th and 12th, so that’s a plus point for IIM’s that have substantial weightage for 10th and 12th. You also have a work experience of 10 months. Profile challenges: Engineering background is common across many profiles, that hinders the prospect of a unique profile. The profile seems decent, a high CAT score will ensure calls from old IIMs. Further any more good colleges that I should target considering my profile? B schools targeting – IIM A,B,C,I,L,K and New IIM’s ,SP Jain, XLRI, TISS, MDI, FMS, IIT Delhi and Bombay, IIFT Delhi and MICA. Congratulations on your splendid and balanced profile. Given that you are a fresher, you would need 99.5+%ile in CAT for A, B, C. For all other colleges, you can easily get a cal at 98.5+%ile too. For colleges like MDI even a score of ~97+%ile should work. Thank you Pearl, can you tell me about my chances in SP JAIN profile based call ? You have a very balanced profile and the feather on the cap is your consulting experience. Forget getting or converting calls, you will be among the top profiles of whichever B-School you join. A management consulting work experience will help you go a long way. Talking of calls, scoring a 98.3+%ile should help you get calls from the aforementioned colleges. Forget getting or converting calls, you will be among the top profiles of whichever B-School you join. A management consulting work experience will help you go a long way. Talking of calls, scoring a 97.5+%ile should help you get calls from the aforementioned colleges. You have a decent profile, your work experience makes it even better. Given the tepid undergrad CGPA, you would need to tool hard for scoring high on CAT. A score of 99+%ile should get you calls from the holy Trinity. Scoring somewhere above 98.35+%ile should get you all othee calls. Targeted B.School : All IIMs. Mainly new ones. You good acads and FMCG experience will help you become a sought after profile in B-Schools. Good news, you have targetted the colleges rationally. NITIE, SJSOM, SPJain will all want to have you on board for the Ops role. Scoring a 98.4+%ile should get you calls from SJSOM, SPJain & NITIE; also some IIMs. For the holy Trinity, you need to score a 99.2%ilr and above. With your current profile, all your targets are well within reach. Your priority should be the old IIMs, followed by your other target colleges. Your academic performance has been very good, so that should get you a lot of points in the selection criteria of all business schools. Aim to score 99.5+ for guaranteed calls from your targets. please suggest if my target is reachable or not and which other colleges can i aim for ? As of now, the only thing that you may have a slight disadvantage in is your work experience and diversity points, but you profile more than makes up for it. Your target is definitely reachable. At 99.3+, you are likely to get guaranteed calls from all your targets and the institutes mentioned above. Team Inside IIM can you reply for my qualifications and percentages too which is below mentioned under Sai Teja Ramanujam…? Profile challenges: While the academics is in your favour, engineering background would be a similarity across a lot of profiles. A high CAT score would be required. Extra curricular activities can help you differentiate your profile. IIM B and C weigh relatively more on academics. With respect to Gender diversity points and work experience points, there would be reduction in composite score. May you get your target B-school! Your academic scores for 10th & 12th along with work experience definitely stand in your favour along with non-engineering background and CA. It will definitely help in differentiating your profile. With a high CAT score, you stand a good chance of getting calls from old IIMs, XLRI and SP Jain. Hi Kabir, thank you so much. What are chances with this experience. Is there any DE merit with more work ex? While companies may prefer freshers or more experienced people as per profile. At this stage, its actually good that you have work experience. From B-school admission perspective, its an advantage not quite a demerit, just aim for a high CAT score to get as many calls from top B-schools. Post B-school admission, there are usually specific role requirement that may be open only to freshers or for individuals with work exp which applies to all. So no you need not worry too much about work experience, do keep in the detailed stories and experiences and achievements of projects during work ex; will come in handy during interviews! Kabir plz rply the last comments also. Non-engineer. Have done graduation in statistics honors. You have got consistently good academic score which will be beneficial wherever substansial academic weightage is given say IIM C & I, along with other target B-schools. Non-engineering background with graduation in statistics is certainly a plus point for profile uniqueness and a work experience. I had say a good and balanced profile. You have strong chances of getting calls from your target B-schools, aim for a high CAT score to ensure the same. Your 10th and 12th scores are decent. Work experience is a plus point. It may be a bit of challenge to get calls from IIM A & B though. With a high CAT score you can reasonably presume to get calls from Old IIMs, and other target B-schools. One more query, It’s well known that TISS is next to XLRI when it comes to HRM. But does it matter in anyway the degree that TISS gives ie. M.A in HRM? You have got good academic scores for 10th and 12th along with non-engineering background (BBA) which is a plus point. However the graduation score is a bit low. Balanced acads, obc category and work experience coupled with Gender Diversity bears the potential of getting you good number of calls if you score well. You would need at least 97.5%ile to bag calls from C,L,K,I and beyond. For A or B, you would need 99.2+%ile. For MDI, you need to score above 93%ile. I had a similar profile to you this year. Do try to score 98.5+ in CAT and you will get a call from all IIMs, MDI and maybe SPJ (I can never decode how SPJ rolls out the WLs). Aim for 97+ in XAT so that you improve chances of conversion although 94 should be enough for a HR call and 96 for BM. I would advice you to try and convert this year as increasing work ex will not work in your favour. I will advise you that just focus on old IIMs as you have a huge advantage over others in terms of profile. Try to score above 98+ percentile just to be on the safer side as you are an engineer and no work experience. This much percentile will get you a lot of calls from old IIMs, MDI, NITIE with huge chances of final selection if interview and GD went well. Yes, all the certifications and achievements are very relevant as the profile is not just about percentages and work experience. For XLRI try to score as much as possible as they don’t focus much on academics while shortlisting but definitely, it will give you an edge for the final selection. Even you can target SPJAIN, as they focus very much on profile and your profile is too good. I am pretty sure you will get the call from SPJAIN. I will advise you that just focus on old iims as you have a huge advantage over others in terms of profile. Try to score above 98+ percentile just to be on the safer side as you are an engineer. This much percentile will get you a lot of calls from old IIMs, new IIMs, MDI, NITIE with huge chances of final selection if interview and GD went well. For NMIMS try to score at least 215 in NMAT and for SIBM try to score 98+ percentile in SNAP. Need to get profile evaluated . Your non-engineering profile will be an advantage, but your academic history may bring down your profile quite a bit. FMS, MDI, IMT, IITs can be your focus for CAT 2018, as these focus quite a bit on the CAT score. Even IIM Kozhikode may be possible with a very high CAT score (since they also consider academic diversity). For other IIMs, your academic profile will be a hindrance. SPJIMR, like IIM Bangalore, requires a stellar all-round profile, which can be a problem for you. Thanks for replying. What percentile range do you metion as a Very High Percentile in your IIMK reference? If the score is around 99.5+, is it possible to get a safe call? Apart from that 215+ in NMAT and 98+ in XAT would help you with NMIMS and XLRI. Might want to consider SIBM as well and write SNAP. Balanced acads and work experience coupled with Gender Diversity bears the potential of getting you good number of calls if you score well. You would need at least 98%ile to bag calls from C,L,K,I and beyond. For A or B, you would need 99.2+%ile. WorkEx-24 months as of now. Decent profile. The 9/8/7 in acads is a hindrance with some old IIMs. Target 98.5+ to get a call from L, K and FMS. A good score will help you make-up a little for the dip in scores. What are your preference in terms of specialization? Are you willing to consider other colleges? Do let me know. Positives of your profile – 10th marks. Negatives – Other academic performance, lack of work experience, academic diversity. 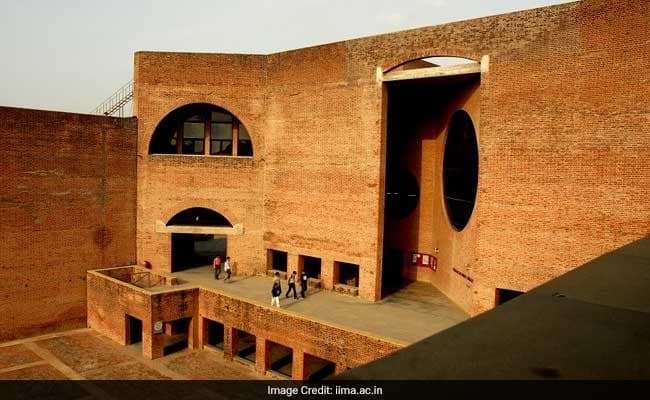 IIM Calcutta may consider you with a very high CAT score, and Indore might too, although it may be a long-shot. Kozhikode is yet to release its shortlisting criteria, but if it is the same as last year, then 75% of the weightage will be for CAT. So yet again, you will have to compensate for that other 25% with a significantly high CAT score. Baby IIMs may consider you with 95-98 percentile, although the selection criteria even there is quite strict. For non-IIMs, 99.5+ percentile is what will guarantee shortlist calls. IITs such as SJMSoM give 80% weightage to CAT score, so that improves your chances of getting admission there. For NMIMS, aim to score 215+ to get a call. With your current profile, your targets may be just out of reach, even though your work-experience is ideal for all your targets, especially IIM Bangalore. Your academic performance may be a hindrance in getting calls. However, do try your best to get 99.8+ to 100 percentile, and you may just about have a chance of getting shortlist calls. For JBIMS, you will need 99.8+, as well as for FMS Delhi. You can also add MDI Gurgaon to your list of targets, if you manage to get the required CAT score. Thanks for the evaluation. Kindly let me know the good B-schools that i can target with this profile. Congratulations, you have a very balanced profile. Given your academic performance, gender diversity and your category, together can easily get you calls from all of the targetted colleges. Scoring anything close to 95%ile will help you get calls from all of the above colleges. As your profile will be perfect if your graduation percentage is not this low. Nevertheless, being a non-engineer and CA, you have added advantage over other candidates. Even if you scored 99+ percentile, chances of getting a call from A, B and I is quite slim but mostly you will get the call from C, L and K and even from SPJAIN. XLRI does not consider your past academic records as a short-listing/elimination criteria for admissions. However, be prepared to answer questions about your poor graduation percentage in the interview if you do receive a shortlist. Last year for the flagship BM programme, the cut off is around 96 percentile in XAT 2018 while for HRM, GM programmes it is 92. Thanks for such an elaborate reply. Also, as per my understanding, IIM A and B consider the marks obtained in professional course (CA/CMA/CS) while determining the AR score of the potential candidate in lieu of his/her graduation marks. Please confirm. As you have low percentages in X and graduation, so you have to perform very well in CAT to target old IIMs include ABC. Having a non-engineer advantage, You have to score more than 99+ if you want to get a call from ABC and FMS. XLRI does not consider your past academic records as a short-listing/elimination criteria for admissions. However, be prepared to answer questions about your poor academic performance in the interview if you do receive a shortlist. Last year for the flagship BM programme, the cut off is around 96 percentile in XAT 2018 while for HRM, GM programmes it is 92. Chances of getting a Profile-based call from SPJAIN is kind of dicey but if you get good percentile in CAT, you might get a call. Congratulations, you have a great profile. Given your academic performance and your category you can easily get calls from all of the targetted colleges. Scoring anything close to 95%ile will help you get calls from all of the above colleges. Even at a percentile of 93%ile you can get call from IIM K & I. Hey Pratik, just wanted to thank you for helping us all out here! One more question if you don’t mind; I have a job offer from an IT company. I don’t mind delaying CAT (and an MBA) and working for 2 years, if it will help me in the long run. Do you think working for two years will make a difference during the summer internships or placements compared to as a fresher? Right now, I have a few extra curriculars like content writing for a popular tech website, MUNs, etc but not too much related to business or leadership. Any insight or advice will be really useful. Thanks for addressing this pertinent elephant in the room. Work experience, talking generally, does make a difference in your summer placement. It helps you stand out as a profile for the sector where you have worked in past. However, you must understand that a B-School is about Diversity. Work experience is just one way in which one might show Diversity, that said, there are a plethora of other ways to stand out as a profile. Arresting your decision of doing an MBA just for building a profile makes sense only if you’re sure about continuing with the sector in future. You have a fairly balanced profile. The likelihood of you getting calls is high, however, being an engineer belonging to the general category you are required to score as high as 99.3+%ile in car for the holy Trinity: ABC. For other colleges you would need to secure atleast a 98.7+%ile. Congratulations on a splendid academic profile. You will have every chance to get the calls from most of the old IIMs, SPJain, MDI. if you score well in CAT. Try to score as much as you can with a minimum of 97 %ile but for ABC and FMS, the score has to be 99+ as you are a GEM. XLRI does not consider your past academic records as a short-listing/elimination criteria for admissions. But still good acads will give you an edge in final selection over others. Last year for the flagship BM programme, the cut off is around 96 percentile in XAT 2018 while for HRM, GM programmes it is 92. And the same for IIFT, try to score as much as you can. You can also target NITIE, a GEM for GEMs. My biggest concern is that I have no work experience and I passed out last year will it create any hurdle. You have a fairly balanced profile. As being a non-engineer, you have an added advantage over others candidates of engineering background. Don’t worry much about work experience as its weightage is mostly in the range of 5% to 10%, which can be easily covered up by scoring good percentile. Being a girl and non-engineer, you should at least 97+ percentile. This much %ile will ensure you calls from many old as well all new IIMs. Other than IIMs you can target, FMS, MDI, XLRI, SNAP, SPJAIN and NMIMS. For FMS, you need to score around 99. XLRI does not consider your past academic records as a short-listing/elimination criteria for admissions. But still good acads will give you an edge in final selection over others. Last year for the flagship BM programme, the cut off is around 96 percentile in XAT 2018 while for HRM, GM programmes it is 92. For SIBM, try to score 98+ and for NMIMS, around 215 in NMAT. So put aside your worries related to work experience and focus on your exams. Your 10th score is good, but your other academic figures are not ideal for shortlisting calls from older IIMs. Both Calcutta and Indore consider only 10th and 12th marks, so that needs to be stellar. However, you can try and compensate for it with a very high score – 99.8+ to have a chance of getting a call. FMS may consider you but only with a high percentile. NMIMS requires a minimum score of 208-210 to be eligible for shortlisting. SIBM Pune shortlists those who feature in the 99+ percentile bracket. IIFT cut-offs keep changing but are generally around 40-45 marks. To summarise, only a good performance in competitive exams and a high percentile can guarantee calls from your target institutes. Older IIMs may not be possible. Work Experience –18 months (6months legal & 12 months food processing industry) also over 10 months of internship experience in legal. I’m a performing musician and have won many prizes at school and college levels. I write and maintain an active blog on latest legal developments and their connection with active and passive politics. B-Schools You Are Targeting –Mica, nmims, sibm, iim-a(fabm), L(abm), k, s.
Im highly interested in food processing and my second preference goes towards marketing. However, a lot of mentors have told me to pursue hr as it is more suitable for lawyers. Please help choose the right course of action. Thank you. The positives of your profile – Work experience, academic diversity points. First of all, your academic history may make it a little difficult to get calls from your target institutes. Your CAT percentile will have to be very high, even as a non-engineer. Second, your ECAs are great, but will only be important at the WAT-PI stage, where you will be questioned on your hobbies and other extracurriculars. For food processing and marketing, your targets are accurate. As far as the link between Law and HR is concerned, it is your own personal choice. A lot of lawyers also pursue a generalist MBA course at management institutes. If you choose HRM, then XLRI, TISS and SCMHRD are the best options in India, with XLRI being the most reputed of the lot. Thank you Team for the prompt reply. The links were quite useful and motivating. There’s just one more concern. How can I cover up for my low academic performance in other non-iims? Specially for mica. Can I get any calls from the targeted colleges? And do you mean I should shift my focus completely towards non-iims? No idea on a particular specific field in MBA. There is no particular interest in any specialization but a bit confined to Finance and HR. As far as your gap is concerned, it will not be a problem till it comes to the interview round, where you will be asked in a form if you have a career gap. Once that comes up, you will need to have a plausible explanation for the gap (and it can’t just be “I was preparing for CAT”). But to be frank enough thats the only reason i quit my job and preparing for CAT. I too quit last year for MBA prep and converted XLRI. And, the team is right. You should have a rock solid reason other than CAT to show for your gap year. It could be anything but with certain results. maybe you were a part of some startup, maybe you were freelancing, maybe you helped with your family business. There has to be a tangible reason and that will help you convert. If you don’t have one then start looking now. No specific preference for specialisations, but am inclined towards Consulting, and Marketing. I am bit confused regarding this. My first priority is in Hr. Is there any chance to get new iims. Please enlighten me about this. Hello Chirag! Decent profile. Full points for diversity. I might be a little tough to get a call from A & C as I know someone who did B.com and didn’t receive calls at 98.81 with acads stronger than yours. Target 99 to have a shot at L and K. Same for FMS. You can get a call from MDI with 97-98. Target 98+ in IIFT. Tough chance with SPJ as they look for strong acads. I really think you can target HR specific schools with your specialization as it would work in your favour. Your acads are a little weak and that will work against you in some places. 95+ in CAT should get you a call from new IIMs. Though 94-95 is enough for a call, 97+ would be a safe XAT score for HR. Target these specific schools for HRM- XLRI, TISS, MDI HR, SCMHRD, IIM Indore, IIM Ranchi, XISS, XIMB. I myself am pursuing HR from XLRI. If any B schools should i target for? Any specialization would suffice if it is a good Management school and also in terms of ROI. you have a very strong chance of conversion with your profile. 97+ should be enough to get a call from all IIMs. If you can touch 98 in CAT then it would improve the odds even more. I would suggest you to prepare really well and convert this year! Thanks for the reply. Should i opt for any more B schools or exam?? bcz this is my second attempt , couldn’t get any calls from any good b school(IIMs n IITs) with my last year percentile while i was doing job. your acads seem very consistent. You will get a call from new IIMs easily with a score of 96.5-97 if I follow this year’s trend. Old IIMs are a little doubtful. If you score 98.5+ then there’s some hope from K, but I am not really sure how they will keep the acads weightage next year. For XLRI, I would say scoring 98+ would give you a decent chance of conversion for BM and 97+ for HR while calls come upto 94%ile too. You would need 98+ for IIFT. 210+ should be your target for NMAT. Thank you so much for the evaluation. I coordinated an event on behalf on UNESCO last year. Will it make any difference? Your past acads strengthen your profile. I would say you have a chance at all the colleges if you touch 97-98 in CAT. Focus on getting 98+ in both IIFT and XAT. How are your mock scores so far and which college did you study from? I have completed my B.tech from NIT Delhi in 2018. I have got 89 percentile in CAT 2017. I have got around 90 percentile in two mocks I have attended in this month. Great. So I would ask you to start working harder and cross 95 as soon as possible. Then you can focus on reaching 97-98. You have a good shot this year, don’t miss it. Thanks for the guidance. Can you guide me how can i increase my percentile? Let me provide you detailed marks of my two mocks. Work Exp-24 months. By Feb it will be some 30 months. I would say 98.5+ is necessary for you to get a call from L, K. Your slight dip in the 12th and Btech scores will be a problem with ABC. You have a decent chance at FMS also with that score. You have a tough chance at SPJ because of your acads. However, 97+ should get you a MDI call and all IITs. Target 97+ in XAT for XLRI, 98+ if you really want BM. Your work ex will work a little against you. I quit when i completed 28 months and still was a little tough for me. So, I would ask you to focus on colleges like MDI, XLRI and FMS. What other colleges should I be specifically to be on a safer side this year? Man plz rply the below comments also. You have a modest profile, you would need to stand out in the entrance exam to make up for it. Good news! The colleges on your list are fairly convertible at your profile. A score of 97.5+%ile should help you get calls from all of the above except FMS. To be very honest your Target Colleges doesn’t match with your Academic Profile. Being a GEM and fresher, chances to get the calls from ABC and L is quite low. But if you score more than 99.5+ there are good chances that you ‘ll get a call from L, K and FMS Delhi. You can also target NITIE, IIM S, MDI as well as new IIMs. Whoa! That’s a pretty diverse profile. That said, you need to toil hard to score high to bag calls from the aforementioned colleges. I am very curious to know why you have excluded A,B & L from you list of target colleges. Coming back to the point, so you need atleast a 98.35+% for C & FMS. A score around 97.5+% will also get you the rest. Hey guys, just wanted to thank you for helping us all out here! B-Schools You Are Targeting – IIM A,B,C,L,K,I, XLRI, SP Jain, FMS. You have an amazing academic profile. Getting calls shouldn’t be a big task for you if you score a decent percentile to back your profile with. Given that you are a pseudo fresher, you would need to score somewhere above 98%ile to secure a call from IIM L and beyond. I can’t be very certain about IIM A and B shortlisting you, however, a score of above 99.3%ile should maximize your chances of securing a call from them. Whoa. That’s an amazing profile. From your academics to your work experience, you have all of it in place. You would be a coveted profile at B-Schools. That said, you definitely need to prove your academic prowess with your score too. You would need to score a 97.7%ile and above for IIM K, I, S, NITIE, MDI, NMIMS and even SPJain. For the big four, A, B, C, L you would need to score around 99.2%ile. A 98.5%ile should get you a call from FMS. Your profile has good number of spikes. Your good acads coupled with your category has the potential of getting you the best of calls. Scoring a ~95%ile would be a safe territory fir you, given that you are targeting all big shot colleges. Congrats on the splendid profile. Being a non-engineer and having an added category advantage, you can very easily achieve you target college, still, I will target the 97+ percentile. This much percentile boost your chances in old IIMs as well as in FMS. B, L and I aren’t likely to shortlists you unless you score above 97.67+%ile. For the holy Trinity you need atleast a 98.4+%ile. Will a better score in graduation help me to get into older IIMs? A downward academic graph should be a slight concern, moreso because you’re a fresher. That said, you can still secure great calls, but before that since you are still in college please buck up and try Sky rocketing your CGPA, as far as you can. At this profile you need atleast a 99.75+%ile to bag the aforementioned calls. Such diversity is always welcome at B-Schools. Talking of your profile, it is moderately balanced, but your work experience sets you out of the league. You need to get at least a 98.35%ile and above to secure a call from IIM L and beyond. For the big three you need atleast a 99.2%ile. Your profile is ripe and a fit fir B-Schools. It exhibits ample Diversity and consistency. It’s good to see how selective you are with choosing prospective colleges. Well, with this profile you shouldn’t settle for lesser. Scoring a 98.7%ile and above can get you all the above calls. To be extra sure about the holy triumvirate of A, B, C and L, a score of 99.35%ile and above should help. Guys plz rply the below comments also. Targeted B.School : IIM C,K,L,I, SPJAIN, NMIMS, FMS, IIFT, SIBM, XLRI. Your academic profile is quite weak, so on realistic note i ll say that chances of getting a call from old iims is quite slim but still u have an added advantage of being a non-engineer so i ll advice target atleast 98+ u might get some call mostly from K ,S ,MDI and all new iims. XLRI doesnt consider past academics while shortlisting candidates bt still be prepared for explaining the reason behind low academics. For now just focus on clearing the cut off. For NMIMS, target 215 and 98+ in SNAP for SIBM. I am a final year student of Mechanical Engineering from NIT Warangal. I’ll be writing CAT for the first time. Please suggest your inputs regarding my profile. Your academic is quite weak, so on realistic note i ll say that chances of getting a call from old iims is quite slim but still u have an added advantage of diversity so i ll advice target atleast 98+ u might get some call mostly from K ,S ,MDI and all new iims. XLRI doesnt consider past academics while shortlisting candidates bt still be prepared for explaining the reason behind low academics. For now just focus on clearing the cut off. Bro ,plzz rply on my comment below i desperately need a advice. B-Schools You Are Targeting – All IIMs, FMS, XLRI, MDI, IIFT, JBIMS,SP Jain, NMIMS, SIBM, DSE. B-Schools You Are Targeting – Any Iims or Iits,Fms,XLRI,Mdi,Iift,JBIMS,Sp jain,Nmims,Sibm, but mainly Iims. What is the realistic percentile to get into IIMs?